Aboud is a picturesque and ancient Palestinian village situated in the central West Bank, Occupied Palestinian territories, about 22 kilometers northwest of Ramallah and 30 kilometers north of Jerusalem. In the past, Aboud's population was mostly Christian. Today, half of the population of 2500 are Christians and half Muslims. There are almost equal numbers of Catholic and Greek Orthodox Arab Christians in Aboud, and a much smaller Protestant congregation. Christians and Muslims in the village live together in harmony. Aboud has a unique and ancient Christian heritage. There has been a continuous Christian presence in Aboud since the earliest days of Christianity. Local tradition states that three millennia old Aboud received the faith of Christ from Christ himself. 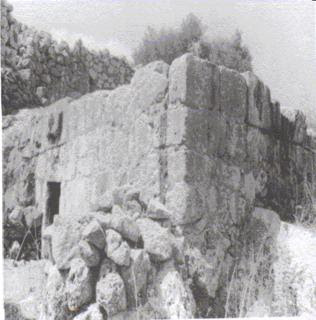 Ruins of the ancient Messiah Church mark the location where Jesus is said to have preached. 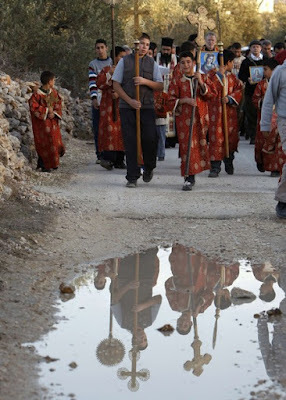 Close to the village is the Roman Road that Jesus and the Holy Disciples would have used when travelling between the Galilee and Jerusalem. The Orthodox church in Aboud was built in the fourth century, in the days of the Roman Emperor Constantine. The Byzantine capitals of its columns bear the image of the cross and palm branches. In the southern wall of the church there is a plaque in Aramaic, the language of Jesus. There are remains of nine ancient churches in and around the village. On a hill to the west of the village of Aboud and at a distance of one kilometer lies an ancient Greek Orthodox Monastery named after Saint Barbara. The establishment of the Monastery's church dates back to the Byzantine period and according to some archaeologists it dates to sixth century, while other researchers say that it dates to the eighth century. The church was built enclosing a very old cave which according to local tradition was used as a place of habitation by Saint Barbara after her escape from her father. 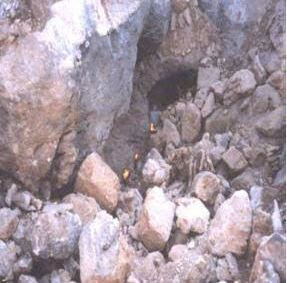 Local tradition also has it that Jesus Christ had appeared to Saint Barbara in this particular cave, and therefore this place is sacred because Jesus Christ has appeared in it. Thus the place has been particularly associated with sanctity and has continued to be used for religious purposes for centuries. Locals consider it to be the oldest and most sacred of Aboud's churches. 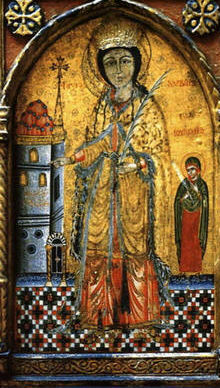 Orthodox Palestinian Christians visit the church annually on the 17th of December (with the Julian Calendar the 4th of December) to celebrate the festival of Saint Barbara's Day. 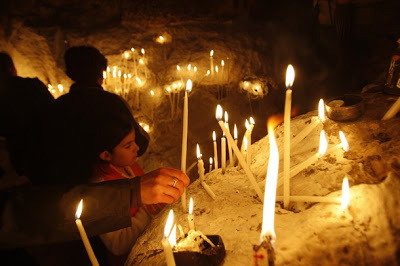 On that date Aboud's Orthodox residents go there by foot in a great procession in order to perform the Divine Liturgy, to pray, light candles in the cave and celebrate. On the 31st of May 2002, the church was blown up by the Israeli army. The Israeli military claimed they were unaware of the church's significance and demolished it by mistake. It has since been rebuilt. 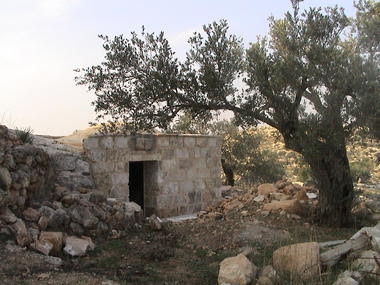 In December 2000, Israeli settlers living in the settlements Ofarim and Beit Arye backed up with Israeli occupation forces attacked Aboud village and uprooted more than 4000 olive trees belonging to the Palestinian villagers of Aboud.